NEW PROVIDENCE, N.J., Oct. 9, 2013 /PRNewswire/ — A new analysis of U.S. ISBN data by ProQuest affiliate Bowker reveals that the number of self-published titles in 2012 jumped to more than 391,000, up 59 percent over 2011 and 422 percent over 2007. Ebooks continue to gain on print, comprising 40 percent of the ISBNs that were self-published in 2012, up from just 11 percent in 2007. Bowker’s research on self-publishing includes surveys of authors that provide insight into where the market is going and services required by these writers. Those who intend to self-publish most often plan to bring fiction to market, followed by inspirational or spiritual works, books for children and biographies. The majority cite finding a traditional publisher as an obstacle. They also feel challenged bymarketing – a hurdle that becomes bigger with increasing numbers of books in the market. Bowker provides a spectrum of services for small publishers through resources such as www.selfpublishedauthor.com,www.myidentifiers.com and www.bookwire.com. To view Bowker’s 2012 report on self-publishing visit www.selfpublishedauthor.com. Bowker is the world’s leading provider of bibliographic information and management solutions designed to help publishers, booksellers, and libraries better serve their customers. Creators of products and services that make books easier for people to discover, evaluate, order, and experience, the company also generates research and resources for publishers, helping them understand and meet the interests of readers worldwide. Bowker, a ProQuest affiliate, is the official ISBN Agency for the United States and its territories. The company is headquartered in New Providence, New Jersey, with additional operations in England and Australia. 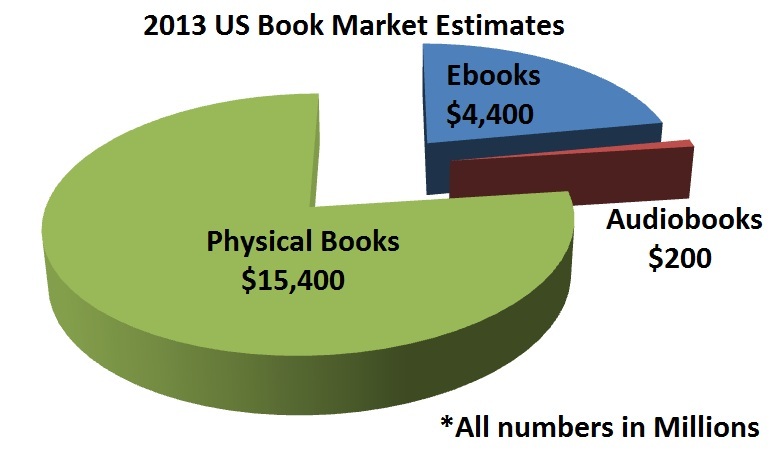 Reposted from: Self-Publishing Movement Continues Strong Growth in U.S. This entry was posted in ebook sales, on demand publishing and tagged Bowker, ebook market, Self-Publishing.